The establishment’s latest fusillade against the truth in the Earhart disappearance appeared in the Discovery News online news site on Oct. 11, and was soon picked up by other outlets including FOX News. Ironically filed under the heading “U.S. History,” the story, headlined “Amelia Earhart Plane Search to Resume Next Year,” was an update to the May 29 story, “Amelia Earhart’s Plane Revealed in Sonar,” by Discovery News senior correspondent Rossella Lorenzi, which I discussed in my June 2 post. In her Oct. 11 story, the TIGHAR mouthpiece breathlessly announced, “The search for Amelia Earhart’s long-lost aircraft will resume next year in the waters off Nikumaroro, an uninhabited island in the southwestern Pacific republic of Kiribati where the legendary pilot may have died as a castaway. … Called Niku VIII, the new expedition is expected to cost as much as $3 million. It will rely on two Hawaiian Undersea Research Laboratory (HURL) manned submersibles, Pisces IV and Pisces V, each carrying a pilot and two TIGHAR observers.” The effort is planned to span 30 days, beginning in mid-August 2014, Lorenzi added. Will someone please tell me, after 10 fruitless trips to Nikumaroro and millions of wasted dollars, just precisely WHO in their ever-loving right minds is going to fork over $3 million so that Gillespie can return to Nikumaroro for yet another monumental waste of time and treasure? Is anyone out there really stupid and well heeled enough to invest in this ridiculous project? Did I hear someone whisper, “U.S. government”? 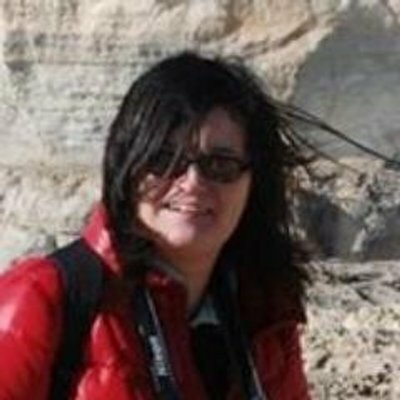 Is Rossella Lorenzi really unaware of the massive and overwhelming evidence that’s been collected since Fred Goerner’s first trip to Saipan in June 1960, and presented in such books as Goerner’s The Search for Amelia Earhart; Vincent V. Loomis’ Amelia Earhart: The Final Story; Thomas E. Devine’s Eyewitness: The Amelia Earhart Incident; and Amelia Earhart: The Truth at Last? We can’t really know, since she never mentions Saipan as even a remotely possible solution to the apparently irresolvable Earhart conundrum. I just saw your Oct. 14 Discovery News piece promoting TIGHAR’s next installment in their longstanding disinformation campaign in the Amelia Earhart matter. How many times does Gillespie have to return to Nikumororo and find nothing before you will decide to stop writing about this ridiculous charade, or is there no limit to your propaganda efforts? Your constant advocacy of TIGHAR either betrays your total lack of knowledge or your utter dishonesty, in either event the result is the same — your readers are badly misinformed and misled. Rossella, there is no excuse for such mendacity in our media, and someday all of us will answer for every false utterance of our lives. The truth about what happened to Amelia on Saipan is obvious to all but the agenda driven and the ignorant, which unfortunately outnumber those of us who can actually read. 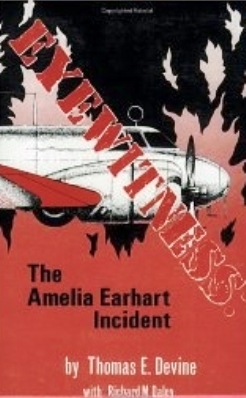 You have made yourself part of what appears to be a permanent problem in the Earhart search, and I hope you’re satisfied that thanks to you and others of your ilk, the truth about Amelia’s fate is now considered to be an irresolvable historical puzzle. That way people like Gillespie can continue their phony searches and make a nice living along the way. Truth be damned. I never thought you worked for FOX, and my email to you was not meant as a personal attack, but to inform you about the truth in the Earhart case. This truth, easily found and discerned in many books including Amelia Earhart: The Truth at Last, isn’t a matter of opinion, but has been the subject of a massive government disinformation effort practically since the day she was lost. Ric Gillespie and TIGHAR, whether or not they actually believe the thirdhand, long-debunked ideas they propagate with the help of a compliant media, have been the government-media establishment’s selected agents of disinformation since 1989, when they first began to make their false claims, claims that were accepted as “reasonable” by the majority of a gullible, uninformed American public. You must know this, but if you don’t, I ask that you do some homework and READ the information provided to you in the link I sent, and by reading my book as well, which is attached gratis in PDF format that can be easily downloaded into a kindle. The overwhelming evidence that places Amelia Earhart and Fred Noonan in the Marshalls and Saipan cannot simply be rejected out of hand as simple “folklore” as Gillespie has so nonchalantly suggested. For all reasonable people I’ve met, the big picture truth in the Earhart disappearance isn’t even debatable. Now that she has a PDF copy of Amelia Earhart: The Truth at Last, Rossella has no more excuses, and cannot say she didn’t know any better in her reportage of the Earhart case. The use of lawyerly wriggle words designed to impart an image of objectivity in news stories doesn’t excuse the blatant, incredibly slanted approach to TIGHAR’s 25-year Earhart fundraising campaign taken by Lorenzi and many other so-called journalists in the establishment media. I await Rossella’s response, but not with bated breath.